MATCHWATCH : Sweden (n) sponsored by Pippy Longstocking - Hob Nob Anyone? So Saturday shall arrive. The sun shall shine. The afternoon shall be long and two Northern European teams shall do unto each other ball shaped things in Samara in deepest Russia. And it’s a good old fashioned 3pm kick off in this country as well so what more could you want from football? Now passage past the Swedes will not be easy. 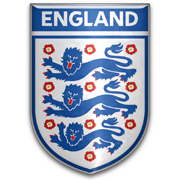 Traditionally this is the one Scandinavian country that gives England immense problems and over the years they have become a bit of the proverbial bogey team. Twenty four games have been played in total with it being fairly equal overall. There have been 8 England wins, 7 Sweden wins and 9 draws. England have scored 38 and conceded 32. However the bogeyness of it all shows through when the chips are down and it means something. In those cases England have won just 1 game out of 8 attempts. But then that was the last time they played a game that meant something - 3:2 in the 2012 Euros. Expecting another hard struggle. Expecting another difficult and frustrating time of it as England look for that little bit of something somewhere that can unlock what is going to be a well packed and well organised Swedish team. Overall another penalty shootout wouldn’t be a surprise to be honest but just once it would be wonderful if England could find that bit of creativity and look the part of possible WC winners to give everyone’s belief a little bit of a push in the right direction. Last edited by Sutekh on 04 Jul 2018 09:16, edited 3 times in total. I too can see this going all the way to pens. I reckon 1-1 AET. Sweden worry me a hell of a lot. Think we need to rest Sterling now and bring in Loftus-Cheek which should give us a bit more creativity. Would like to see Rose in for Young too. Old Man Andrews Sweden worry me a hell of a lot. Think we need to rest Sterling now and bring in Loftus-Cheek which should give us a bit more creativity. Would like to see Rose in for Young too. Gonna watch this one from my hospital bed. Do it for me, England. ICH but I’m not. Scutterbucketz Gonna watch this one from my hospital bed. Do it for me, England. ICH but I’m not. This Sweden side are not talented. Can't even see them scoring. 3 nil England. Is this on BBC or ITV ? Mother in law's afternoon garden party on Saturday for a significant birthday. I'm one of those weirdos who really likes his in laws, but this is beyond the pale. Considering a divorce. Zammo This Sweden side are not talented. Can't even see them scoring. 3 nil England. Just thought I was going to have a hearty at 10 to 5 this morning. I really should have been in bed rather than sat up drinking. This World Cup will be the death of me. Or this hangover will. I presume that if England make it to the semi final that both BBC TV and ITV will cover the game live. Sure they did this in 1990. I would estimate the BBC would get double the viewers that ITV do. Not seen anyone who has been impressed with their coverage. I think it's normally at least 3:1 when they both show a game, I can't remember if that happened in '90, pretty sure the Euro '96 semi was only on the beeb "Hello, you've heard there's a game on?" Schedules seem to suggest that BBC have semi final 2 which is England v Croatia/Russia, don't know if ITV will also be allowed to show it after Saturday? As we know it's coming home I'd guess they'd have confirmed this already? I actually prefer ITV. I'm not a fan of old Jugs and Gary Neville, for me is the best pundit going.